Oxygen, SPG Blocks, Neuromodulation and neuromuscular orthotics give relief! Cluster Headaches are frequently called the suicide headache. Many patients respond quickly to 100% oxygen but it is not always available and there are patients who only have partial relief. Sphenopalatine Ganglion (SPG) Blocks not only offer almost immediate relief of Cluster Headache pain but repeated use can eliminate cluster headaches. The Sphenopalatine Ganglion is accessible through the nose and non-invasive delivery of lidocaine and other anesthetics can give almost immediate relief. 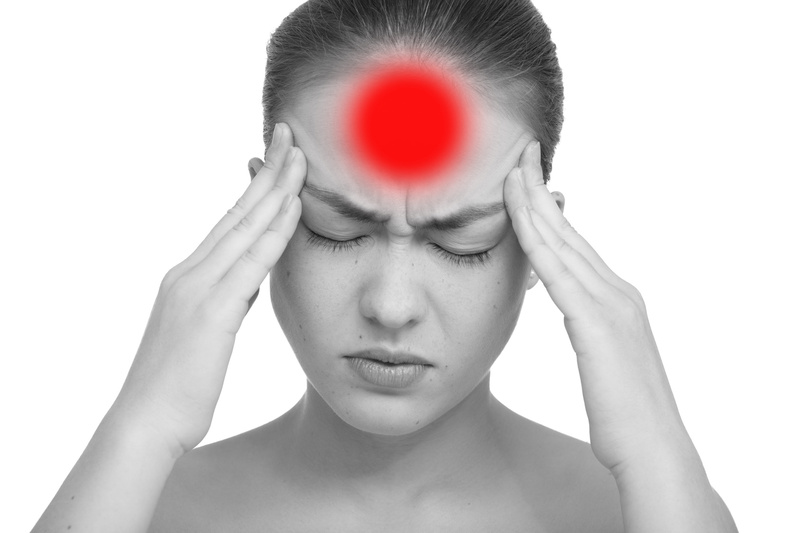 Repeated SPG Blocks can prevent future cluster headaches. Self-Administration of SPG Blocks put patients in control of their relief making it available 24/7 without needing an oxygen tank. The best method of Self-Administration is with cotton-tipped nasal catheters that I teach patients. 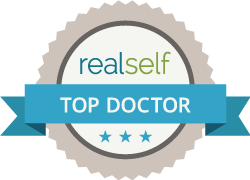 Most patients can easily learn the technique and Self-Administration becomes routine, easier they taking medication and for most patients almost immediate relief. There are three nasal catheters used by physicians to deliver Sphenopalatine Ganglion Blocks for Cluster Headaches and Migraines. The Sphenocath is the first one commercially available. The TX360 is a novel design and has been reported on in multiple studies and is used with the MiRx protocol. The Allevio is similar to the Sphenocath. All three are specialized “Squirt Guns” designed to deliver anesthetic to the mucosa over the SPG. I find the cotton-tipped easier for most patients as well as more effective due to the continual capillary feed of anesthetic in any position. The Myomonitor is an Ultra Low Frequency device designed to relax muscles innervated by the fifth and seventh cranial nerves (trigeminal and facial nerves) and is used in neuromuscular dentistry to create neuromuscular orthotics. These orthotics can eliminate future episodes of cluster headaches, migraines and other painful conditions. The Myomonitor has beenin use for over 50 years and also serves as a non-invasive sphenopalatine ganglion neuromuscular device. Neuromuscular orthotics act as a reset mechanism for posture and for the trigeminal nervous system. Sphenopalatine ganglion blocks serve as a reset mechanism for the autonomic nervous system. Orofacial Pain Management: Current Prospectives. Do All Patients Still Deserve Care That Relieves Their Pain? Treatment of Orofacial Pain can be complex and there are many issues that are both medical and dental in nature. There is hope and this paper gives one clear example of what is wrong with many of the concepts of the Orofacial Pain Group that tends to discount valuable treatments with good scientific evidence. Dr Fricton found that hard stabilization splints had “modest efficiency “compared to non-occluding appliances and no treatment” He also states that “Other types of appliances, including soft stabilization appliances, anterior positioning appliances, and anterior bite appliances, have some RCT evidence of efficacy in reducing TMJD pain.” One would assume when dealing with patients in pain that success alleviation of pain would be paramount but Dr Fricton actually finishes the conclusion stating “However, the potential for adverse events with these appliances is higher and suggests the need for close monitoring in their use.” This does not mean don’t use them but that use carries some risk. A patient in pain has the right to decide if that is a risk he or she wants to take. The problem is due to the politics of the AAOP patients are actually losing their right to the most efficacuos treatments. Instead, she took advantage of a more efficacous and now lives pain free. Yes, there are randomized Controlled Studies showing efficacy but even if there were only testimonials and clinical histories she has a right to chose her own fate. We know that the third leading cause of death in this country is medical mistakes according to a study by Johns Hopkins. Surgical Options For Treatment of Cluster Headaches: The Trigeminal Nerve Connection: SPG Blocks Should Be Tried First! Patrick : What are the surgical options for treating my severe cluster headaches? am not a big advocate of surgery for cluster headaches. Treatment of the Trigeminal Nerve ” microvascular decompression of the trigeminal nerve with section of the nervus intermedius compares very favorably to other destructive techniques without the accompanying neurologic deficits” (see below) is probably the best surgical treatment but do not expect success. There is a significant risk of very negative outcomes. As there is unquestionably a Trigeminal Nerve basis in cluster headaches I would first attempt a diagnostic neuromuscular orthotic (ie Neuromuscular Dentistry ) and/or sphenopalatine ganglion (SPG) block as prophylactic method. Patients can learn to self administer the intranasal SPG block quickly and easily at home with special hollow tube cotton applicators. Surgery of the Sphenopalatine Ganglion has been attempted but is not recommended. There is a new study out of South Africa that showed good results on 4 out of 5 patients (short term study) but the surgery is relatively atraumatic. (see below) There is also a study on implantable neurostimulation of the Spenopalatine Ganglon (SPG) but I would certainly try the intranasal approach first. Neuromuscular Dentistry also offers relief to Cluster Headache Patients. The Myomonitor that relaxes trigeminal and facial muscles also has a 50 year safety record as a Sphenopalatine Ganglion Stimulator. Many Cluster headaches respond rapidly to 100% oxygen as an emergency treatment. What have you previously attempted to treat your cluster headachers? It has been said that: “There is no disease or disorder known to man that cannot be made worse by sticking a knife in it.” This does not mean surgery is bad but you should approach it with caution and be aware of possible negative outcomes. The surgical management of chronic cluster headache. Chronic cluster headache remains a debilitating and poorly controlled syndrome. Although various surgical treatments have had limited success, microvascular decompression of the trigeminal nerve with section of the nervus intermedius compares very favorably to other destructive techniques without the accompanying neurologic deficits. It is, therefore, our recommendation as the first-line operative treatment of chronic cluster headache. Curr Pain Headache Rep. 2002 Feb;6(1):57-64. Interventional treatment for cluster headache: a review of the options. There is no more severe pain than that sustained by a cluster headache sufferer. Surgical treatment of cluster headache should only be considered after a patient has exhausted all medical options or when a patient’s medical history precludes the use of typical cluster abortive and preventive medications. Once a cluster patient is deemed a medical failure only those who have strictly side-fixed headaches should be considered for surgery. Other criteria for cluster surgery include pain localizing to the ophthalmic division of the trigeminal nerve, a psychologically stable individual, and absence of addictive personality traits. To understand the rationale behind the surgical treatment strategies for cluster, one must have a general understanding of the anatomy of cluster pathogenesis. The most frequently used surgical techniques for cluster are directed toward the sensory trigeminal nerve and the cranial parasympathetic system. Cephalalgia. 2012 Jun;32(8):635-40. doi: 10.1177/0333102412445219. Epub 2012 Apr 23. Predilection to deafferentation pain syndrome after radiosurgery in cluster headache. Donnet A, Carron R, Régis J.
Cluster-tic syndrome is a rare, disabling disorder. We report the first case of cluster-tic syndrome with a successful response to stereotactic radiosurgery. After failing optimal medical treatment, a 58-year-old woman suffering from cluster-tic syndrome was treated with gamma knife radiosurgery. The trigeminal nerve and sphenopalatine ganglion were targeted with a maximum dose of 85 and 90 Gy respectively. The patient experienced a complete resolution of the initial pain, but developed, as previously described after radiosurgical treatment for cluster headache, a trigeminal nerve dysfunction. This suggests that trigeminal nerve sensitivity to radiosurgery can be extremely different depending on the underlying pathological condition, and that there is an abnormal sensitivity of the trigeminal nerve in cluster headache patients. We do not recommend trigeminal nerve radiosurgery for treatment of cluster headache. Neurosurgery. 2006 Dec;59(6):1258-62; discussion 1262-3. Long-term results of radiosurgery for refractory cluster headache. McClelland S 3rd, Tendulkar RD, Barnett GH, Neyman G, Suh JH. Department of Neurosurgery, University of Minnesota Medical School, Minneapolis, Minnesota, USA. Medically refractory cluster headache (CH) is a debilitating condition for which few surgical modalities have proven effective. Previous reports involving short-term follow-up of CH patients have reported modest degrees of pain relief after radiosurgery of the trigeminal nerve ipsilateral to symptom onset. With the recent success of deep brain stimulation as a surgical modality for these patients, it becomes imperative for the long-term risks and benefits of radiosurgery to be more extensively delineated. To address this issue, we present our findings from the largest retrospective series of patients undergoing radiosurgery for CH with extended follow-up periods. Between 1997 and 2001, 10 patients with CH underwent gamma knife radiosurgery at our institution. All patients fulfilled clinical criteria for treatment, including complete resistance to pharmacotherapy (usually methysergide, verapamil, and lithium), pain primarily localized to the ophthalmic division of the trigeminal nerve, and psychological stability. The mean age at radiosurgery was 40.3 years (range, 26-62 yr), and the average CH duration was 11.3 years (range, 2-21 yr). Patients received 75 Gy to the 100% isodose line delivered to the most proximal part of the trigeminal nerve where the 50% isodose line was outside the brainstem (4-mm collimator), with a mean follow-up period of 39.7 months (range, 5-88 mo). Pain relief was defined as excellent (free of CH with minimal or no medications), good (50% reduction of CH severity and frequency with medications), fair (25% reduction of CH severity and frequency with medications), or poor (less than 25% reduction of CH severity and frequency with medications). After radiosurgery, pain relief was poor in nine patients and fair in one patient. Six patients with poor to fair relief initially experienced excellent to good relief (range, 2 wk-2 yr after treatment) before regressing. Five patients (50%) experienced trigeminal nerve dysfunction, manifesting predominantly as facial numbness after treatment. Although some patients may experience short-term pain relief, none had relief sustainable for longer than 2 years. The results from this series indicate that radiosurgery of the trigeminal nerve does not provide long-term pain relief for medically refractory CH. J Neurol Neurosurg Psychiatry. 2005 February; 76(2): 218–221. Background: Since the initial report of Ford et al in 1998 no further study has evaluated radiosurgery of the trigeminal nerve in chronic cluster headache (CCH). Methods: We carried out a prospective open trial of neurosurgery and enrolled 10 patients (nine men, one woman; mean age 49.8 years, range 32–77) presenting with severe and drug resistant CCH (mean duration 9 years, range 2–33). The cisternal segment of the nerve was targeted with a single 4 mm collimator (80–85 Gy max). Results: The mean follow up was 13.2 months. No improvement was observed in two patients and three patients had no further attacks. Three patients showed dramatic improvement with a few attacks per month or very few attacks over the last six months. Two patients were pain free for only one and two weeks and their headaches recurred with the same severity as before. Three patients developed paraesthesia with no hypoaesthesia, one developed hypoaesthesia, and one developed deafferentation pain. Conclusions: The rate and severity of trigeminal nerve injury appeared to be significantly higher than in trigeminal neuralgia, and this study does not support the positive results of the study of Ford et al. We consider the morbidity to be significant for the low rate of pain cessation, making this procedure less attractive even for the more severely affected subgroup of patients. Persistence of attacks of cluster headache after trigeminal nerve root section. Headache Group, Institute of Neurology, University College London, UK. Cluster headache is a strictly unilateral headache that occurs in association with cranial autonomic features. We report a patient with a trigeminal nerve section who continued to have attacks. A 59-year-old man described a 14-year history of left-sided episodes of excruciating pain centred on the retro-orbital and orbital regions. These episodes lasted 1-4 h, recurring 2-3 times daily. The attacks were associated with ipsilateral ptosis, conjunctival injection, lacrimation, rhinorrhoea and facial flushing. From 1986 to 1988, he had trials of medications without any benefit. In February 1988, he had complete surgical section of the left trigeminal sensory root that shortened the attacks in length for 1 month without change in their frequency or character. In April 1988, he had further surgical exploration and the root was found to be completely excised; post-operatively, there was no change in the symptoms. From 1988 to 1999, he had a number of medications, including verapamil and indomethacin, all of which were ineffective. Prednisolone 30 mg orally daily rendered the patient completely pain free. Sumatriptan 100 mg orally and 6 mg subcutaneously aborted the attack after approximately 45 and 15 min, respectively. He was completely anaesthetic over the entire left trigeminal distribution. Left corneal reflex was absent. Motor function of the left trigeminal nerve was preserved. Neurological and physical examination was otherwise normal. MRI scan showed a marked reduction in the calibre of the left trigeminal nerve from the nerve root exit zone in the pons to Meckel’s cave. An ECG-gated three-dimensional multislab MRI inflow angiogram was performed. No dilatation was observed in the left internal carotid artery during the cluster attack. Blink reflexes were elicited with a standard electrode and stimulus. Stimulation of the left supraorbital nerve produced neither ipsilateral nor contralateral blink reflex response. Stimulation of the right supraorbital nerve produced an ipsilateral response with a mean R2 onset latency of 36 ms and a contralateral response with a mean R2 onset latency of 32 ms. Lack of ipsilateral vessel dilatation makes the role of vascular factors in the initiation of cluster attacks questionable. With complete section of the left trigeminal sensory root the brain would perceive neither vasodilatation nor a peripheral neural inflammatory process; however, the patient continued to have an excellent response to sumatriptan. 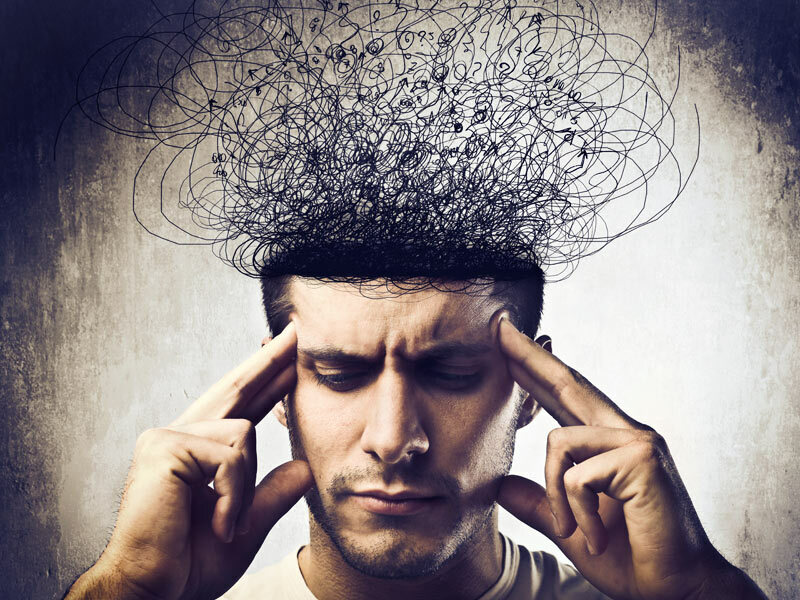 The case illustrates that cluster headache may be generated primarily from within the brain, and that triptans may have anti-headache effects through an entirely central mechanism. A more positive result was shown in this study from Mayo but does not discuss length of relief only short term results. Mayo Clin Proc. 1986 Jul;61(7):537-44. Surgical treatment of chronic cluster headache. Cephalalgia. 2011 Jan;31(1):112-5. doi: 10.1177/0333102410373157. Epub 2010 May 17. Mere surgery will not cure cluster headache–implications for neurostimulation. Department of Systems Neuroscience, University Medical Centre Hamburg-Eppendorf (UKE), Martinistrasse 52, Hamburg, Germany. This case study concerns a patient with primary chronic cluster headache, who was unresponsive to all treatments and consecutively underwent hypothalamic deep brain stimulation (DBS). DBS had no effect on the cluster attacks, but cured an existing polydipsia as well as restlessness. However, hypothalamic DBS produced a constant, dull headache without concomitant symptoms and a high-frequent tremor. All of these effects were repeated when the stimulation was stopped and than started again. DBS had no effect on a pathological weight gain from 70 kg to 150 kg due to bulimia at night, usually during headache attacks. This case illustrates that cluster headache is, in some patients, only one symptom of a complex hypothalamic syndrome. This case also underlines that the stimulation parameters and anatomical target area for hypothalamic DBS may be too unspecific to do justice to the clinical variety of patients and concomitant symptoms. Hypothalamic DBS is an exquisite and potentially life-saving treatment method in otherwise intractable patients, but needs to be better characterised and should only be considered when other stimulation methods, such as stimulation of the greater occipital nerve, are unsuccessful. J Oral Maxillofac Surg. 2013 Apr;71(4):677-81. doi: 10.1016/j.joms.2012.12.001. A new minimally invasive technique for cauterizing the maxillary artery and its application in the treatment ofcluster headache. To describe a new, relatively atraumatic method of cauterizing the maxillary artery and its effectiveness in treating cluster headache. Five patients with cluster headache were treated with arterial ligation of certain terminal branches of the external carotid artery. A new, atraumatic method of cauterizing the maxillary artery is described. The success rate and postoperative morbidity are presented. In four out of five patients the cluster attacks ceased immediately following surgery. A new intraoral technique for maxillary artery cauterization and the effectiveness of cauterization of the terminal branches of the external carotid artery in the treatment of cluster headache are described. Although the sample is small, the results are encouraging, and may offer permanent relief of cluster headache pain. Cephalalgia. 2013 Jul;33(10):816-30. doi: 10.1177/0333102412473667. Epub 2013 Jan 11. Stimulation of the sphenopalatine ganglion (SPG) for cluster headache treatment. Pathway CH-1: A randomized, sham-controlled study. Schoenen J, Jensen RH, Lantéri-Minet M, Láinez MJ, Gaul C, Goodman AM, Caparso A, May A. A multicenter, multiple CH attack study of an implantable on-demand SPG neurostimulator was conducted in patients suffering from refractory CCH. Each CH attack was randomly treated with full, sub-perception, or sham stimulation. Pain relief at 15 minutes following SPG stimulation and device- or procedure-related serious adverse events (SAEs) were evaluated. Thirty-two patients were enrolled and 28 completed the randomized experimental period. Pain relief was achieved in 67.1% of full stimulation-treated attacks compared to 7.4% of sham-treated and 7.3% of sub-perception-treated attacks ( P < 0.0001). Nineteen of 28 (68%) patients experienced a clinically significant improvement: seven (25%) achieved pain relief in ≥50% of treated attacks, 10 (36%), a ≥50% reduction in attack frequency, and two (7%), both. Five SAEs occurred and most patients (81%) experienced transient, mild/moderate loss of sensation within distinct maxillary nerve regions; 65% of events resolved within three months. INTERPRETATION: On-demand SPG stimulation using the ATI Neurostimulation System is an effective novel therapy for CCH sufferers, with dual beneficial effects, acute pain relief and observed attack prevention, and has an acceptable safety profile compared to similar surgical procedures.